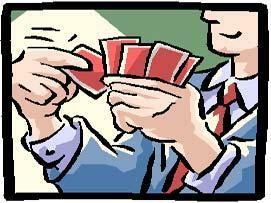 Come for a game of Euchre on Thursday nights for $2 at 6.30pm. New and old members welcome. Laughs, tea, coffee and biscuits provided. Roll up, everybody is welcome. 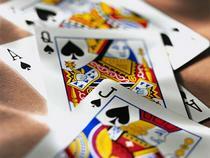 Join in the fun and friendly competitive spirit of that great card game, Euchre. Terrific prizes, Mens and Womens side winners, Losers each side and a chocolate Booby prize and Door prize. The Milton Ulladulla Men's Shed Inc was previously known as the Milton Ulladulla Bowling Club Woodworkers (formed in 1998) and subsequently as the Ulladulla Harbourside Mens Shed Inc before changing to the Milton Ulladulla Men's Shed Inc in 2013 and has a membership of just over 50 members. Activities are varied, such as metal work, wood turning, cabinet making, toy making and carpentry. You do not have to be skilled, come along and learn new skills or just come along and share you skills. The club meets at the Bowling Club on the first Monday of each month at 7pm in the upstairs function room and the Club's facilities are generally open between 11am to 2.30pm Monday to Saturday at 13 Witherington Street, Ulladulla (in the shed opposite Tim Ryan's Panel Beating). At the shed days, demonstrations are given and any help needed by the members can be resolved. Regular open days are held at the shed where there will be demonstrations, sale of goods suitable for gifts and refreshments will be available. New members are very welcome and information can be obtained from the President, Graham Barbery on 4456 4809, Vice President Jacqueline Winters 4454 4223, Secretary Don Wilkinson 4455 5904, Immediate Past President Mark Stokes 4454 0394.